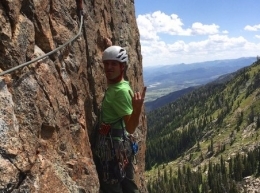 In July of 2015 Wesley Gooch and Tyler Bergquist established a classic new three pitch sport route at Rocks Springs Buttress at Jackson Hole Mountain Resort. 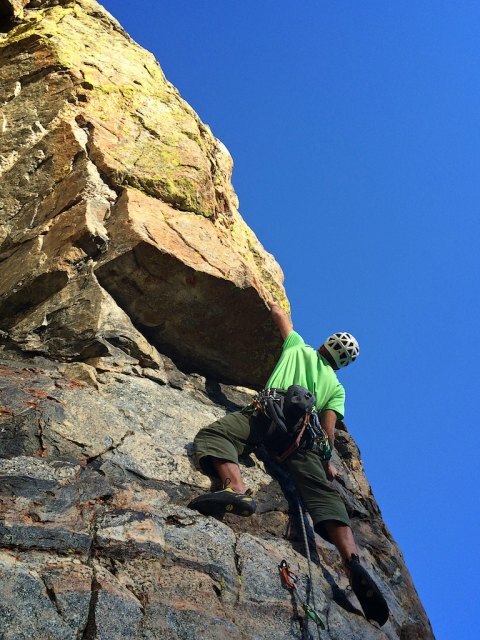 “Sky Lounge” (5.11b) charges up the far left side of the Center Buttress. 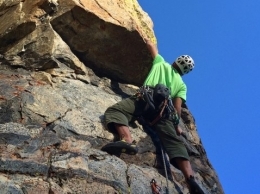 The route’s name-defining characteristic is a huge ledge with a built-in granite belay chair. 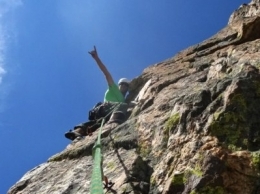 Kick back, relax, and enjoy the views while you belay your partner up the airy final pitch. 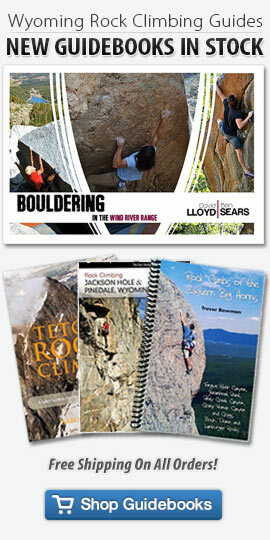 Every pitch of Sky Lounge is quality but the 2nd and 3rd pitches are particularly good for 5.10! 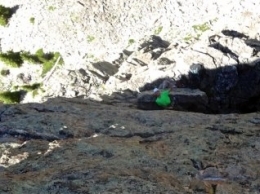 For those that can’t muster enough strength for the 5.11b first pitch, teams may optionally bypass pitch one to the right via the adjacent route (Ptarmigan Tower – 5.9 mixed), then traverse back into Sky Lounge via a two bolt linkup. Wesley Gooch & Tyler Bergquist during the First Ascent of Sky Lounge – 5.11b sport. 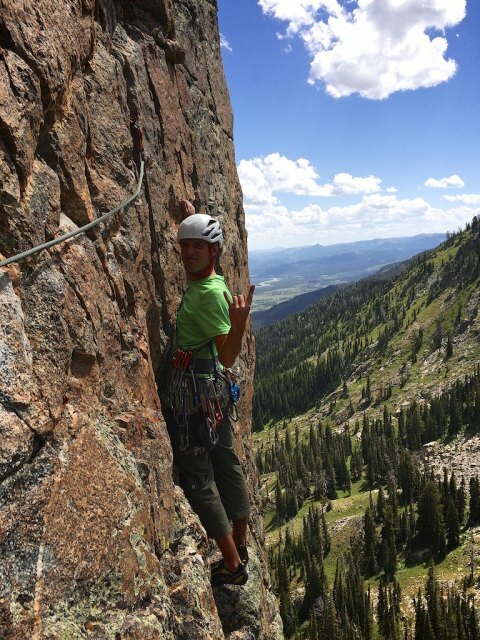 All belays are bolted with good ledges! 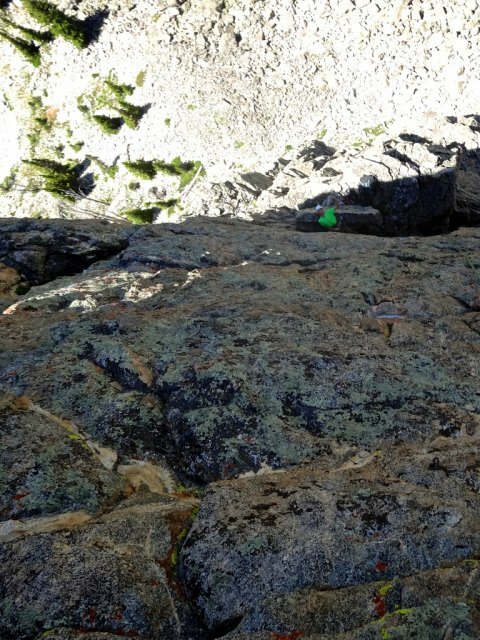 The crux first pitch is engaging immediately off the ground (5.11b) and is best solved with sequential heel hooking moves. Powerful overhanging bottom half and a cruiser top half. 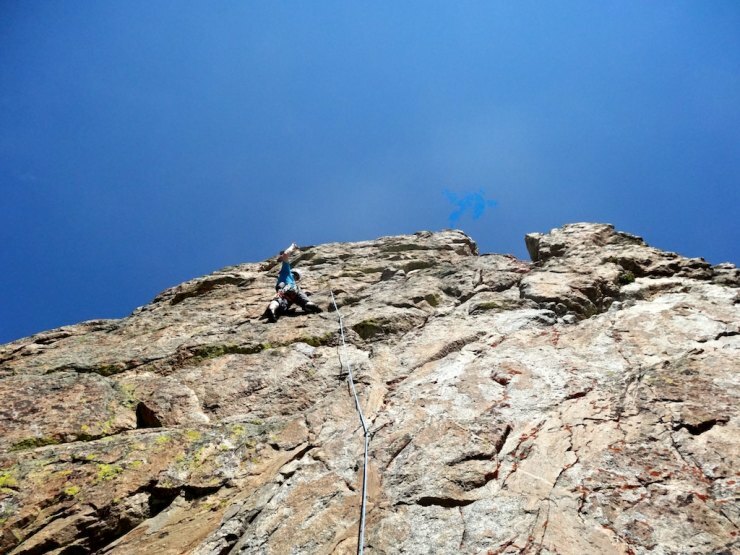 The first pitch can optionally be bypassed to the right via the adjacent pitch of Ptarmigan Tower (5.9 mixed) and then traversing back into Sky Lounge. 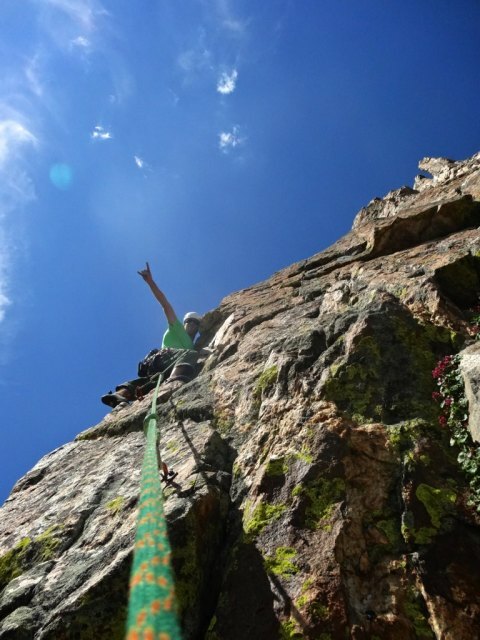 Pitch two charges up a roof to a blunt arete above. The final 40 feet of rock is littered with huge jugs. 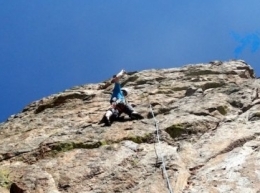 The final 3rd pitch is a rewarding 5.10a with brilliant position. 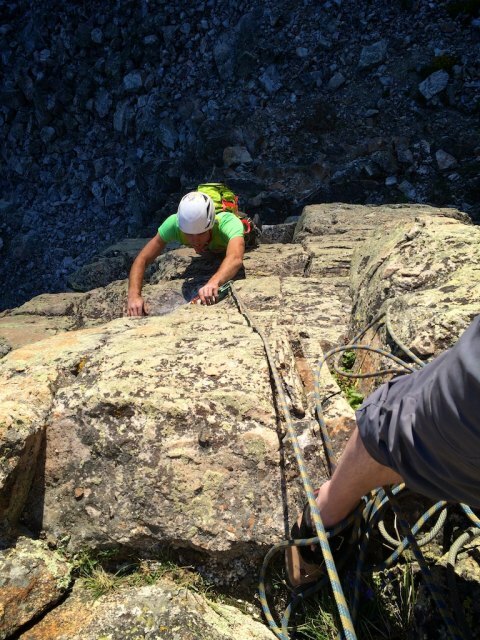 Technical climbing with lots of edgy crimps. Lower back to the Sky Lounge ledge. Sky Lounge is the route located just left of Ptarmigan Tower on the far left side of the Center Buttress. 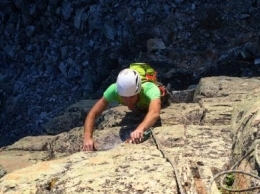 Avoid the first two pitches of Ptarmigan Tower by scrambling a the scree under the route and traversing in on an easy 5th class ledge system to a bolted belay. Sky Lounge is completely equipped with bolts painted dark brown. Bring a rack of about 12 sport draws. All belay/rappel anchors are bolted with rap rings. A 60 meter rope is plenty long.